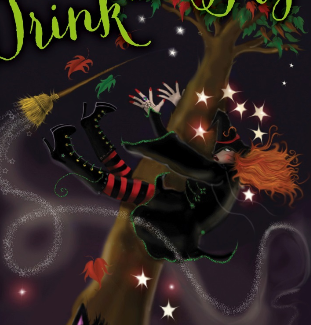 Author Cathie Devitt introduces her new book, Don’t Drink and Fly, the first novella in a three part series exploring the life of Glasgow-based witch, Bernice O’Hanlon. On a quest to find happiness, Bernice makes her way through the ups and downs of life, not always getting it right as she goes. Cathie Devitt is a writer and a Laughter Yoga leader. Devitt has written short stories, poetry in anthologies and plays, as well as articles for various publications. For Don’t Drink and Fly, Devitt explores the Pagan traditions and the world of witchcraft to help inform her book.